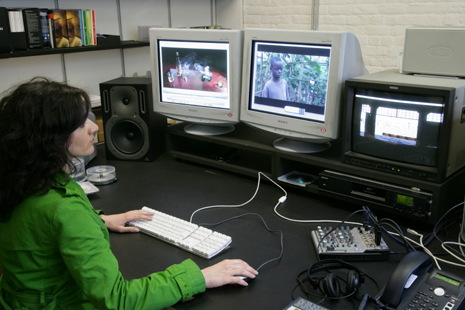 Post-production facilities at ARGOS ARGOS centre for art and media offers in-house post-production editing facilities such as digitizing, encoding and print-out as well as duplicating video recordings. - Two editing stations are available in our editing studio, which can used individually or with the help of an editor. Artists and art-related institutions can rent the studio on demand. An advance reservation is required via: video@argosarts.org.- The following tape formats can be treated in our studio: Beta SP (component), Beta digital (component) DV CAM/Mini DV, U-Matic, VHS. - For all related price info please download the attached price list. The prices listed are without VAT.